When I was taking care of my mother every day felt like keeping up double the normal routine. I would wake up and make oatmeal with blueberries for both of us. Then I would help her eat by giving her a small spoon full at a time and then once she was finished I would take the time to eat myself. Each week I would take out the pill planner and sort out all of her medicine to continue the cycle. I watched both my own water in take and hers. We set up the shower every day, with me getting the shower chair, flowery clothes, and bright blue towel ready. At night I would set up her favorite show and bring fresh water for bed time. The cycle would repeat the next day and on. We didn’t start hospice immediately. We had actually heard about hospice two years before, but never understood what they helped with. My mother had Alzheimer’s. It is a disease that causes the brain to regress and you lose precious memories. I had heard of the disease in passing before, but never thought much of it. Once the disease progressed I knew it was time to get help caring for her and that is when we entered hospice care. Accredited Hospices met with us and explained to me what Alzheimer’s is and how they could help take care of my mother. It was such a huge relief not feeling like I was alone in helping her every day. They would provide the showers, feeding, changing of diapers, and clothing. All the information I had desperately searched for was provided and I felt like a monumental weight had been lifted as we started the program. Initially I was worried that my mom would receive less care, but our doctor was updated weekly about her condition. That was a big step up from monthly visits we had been doing. 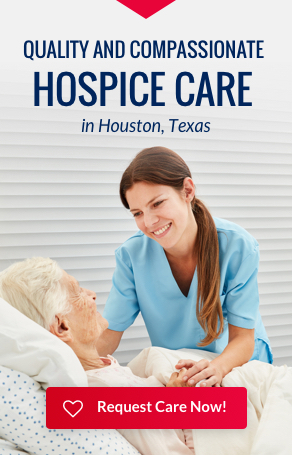 I thought the task to pay for hospice would be daunting, but her Medicare benefit covered all of the services. I would recommend at least trying hospice out and seeing if it is a good fit. My mother passed away peacefully a small time ago and if it wasn’t for what hospice provided the journey would have been much harder. I truly thank them for all that they provide and hope this message reaches those who are also looking for help.